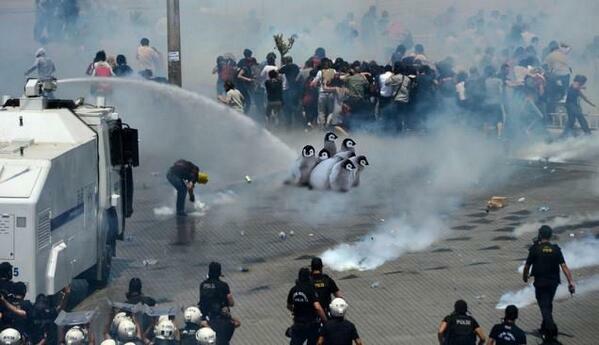 June 2, 2013: The Turkish edition of CNN aired a report on the life of penguins while CNN International was broadcasting international police charges and riots in Istanbul. This was the origin of one of the most celebrated "memes" (cultural units-phrases, songs, pictures, which are transmitted from one person to another) of all Turkish revolts. 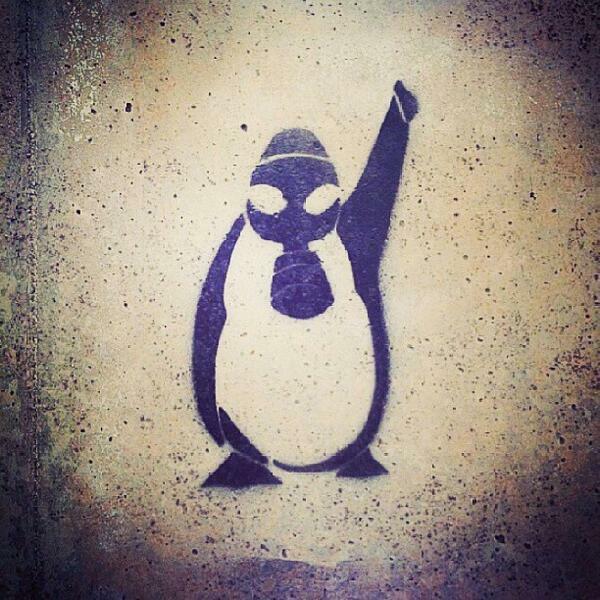 The penguins were present in the street in graffiti forms, avatars, in fictional remix pictures and even in souvenirs. The penguin image evokes, by itself, the protest against media silence more effectively than any manifesto and reflects how the history is written by social media in the new revolutions. In Turkey, as in Spain, Egypt, Mexico and Brazil, social media (Twitter, Facebook, Tumblr, Youtube or "streaming" sites) made ​​up for the mainstream press; offering every minute a new link with a photo or video. Only the "Livestream" site, received, in the first weeks of protests, 2.9 million visitors in Turkey, 300% more than usual.